** A LA LUZ DE LOS ALMENDROS EN FLOR DEL RINCÓN DE ADEMUZ. ** ACERCA DE LA TORRE-CAMPANARIO DE CASTIELFABIB (VALENCIA) [I]. ** ACERCA DE LA TORRE-CAMPANARIO DE CASTIELFABIB (VALENCIA) [y II]. ** ÁNGEL GARRIDO CAMAÑAS Y PILAR BLASCO FÉRRIZ, NATURALES Y VECINOS DEADEMUZ (VALENCIA). ** ANÍBAL SALAGRE ALONSO, DIRECTOR DE LA BANDA DE CORNETAS Y TAMBORES DETORREBAJA (VALENCIA) [I]. ** ANÍBAL SALAGRE ALONSO, DIRECTOR DE LA BANDA DE CORNETAS Y TAMBORES DE TORREBAJA (VALENCIA) [y II]. ** DE ADEMUZ Y CASTIELFABIB A LAS NAVAS DE TOLOSA. ** DE CRÓNICAS Y CRONISTAS. ** DE LA NUEVA Y VIEJA CASA CONSISTORIAL DE TORREBAJA (VALENCIA). ** DE LAS ESCUELAS Y MAESTROS DEL RINCÓN DE ADEMUZ EN OTRO TIEMPO (I). ** DE LAS ESCUELAS Y MAESTROS DEL RINCÓN DE ADEMUZ EN OTRO TIEMPO (y II). 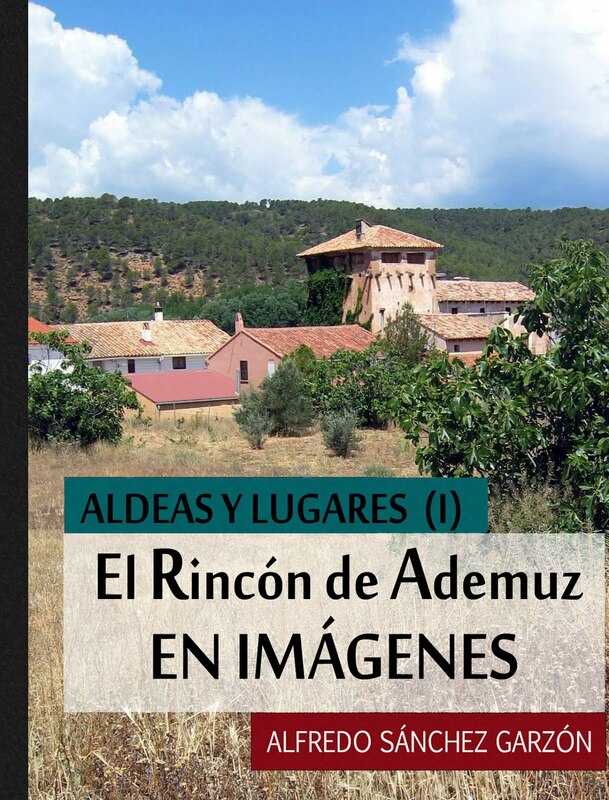 ** DEL RINCÓN DE ADEMUZ…, LUEGO ESPAÑOL. ** DETENCIÓN Y APALEAMIENTO DE VECINOS DE CASTIELFABIB DURANTE LA REVOLUCIÓN. ** DON AGUSTÍN NAVARRO ZAPATA (1871-1936), CURA PÁRROCO DE HENAREJOS (CUENCA), EN LA CAUSA GENERAL. ** DON CARLOS ESPARZA GÓMEZ, SACERDOTE MISIONERO ITINERANTE. ** DON EDUARDO AGUILAR VILLALBA, ALCALDE DE CASTIELFABIB (VALENCIA) [I]. ** DON EDUARDO AGUILAR VILLALBA, ALCALDE DE CASTIELFABIB (VALENCIA) [y II]. ** DON MIGUEL PRIMO DE RIVERA, DE PASO POR EL RINCÓN DE ADEMUZ. ** DON OCTAVIO GÓMEZ LUIS, ALCALDE DE TORREBAJA (VALENCIA). ** ELCAMINO DE LA "VERA CRUZ": DE ADEMUZ A LANDETE [I]. ** EL CAMINO DE LA "VERA CRUZ": DE ADEMUZ A LANDETE [y II]. ** EL CAMINO DE LA “VERA CRUZ” A SU PASO POR EL RINCÓN DE ADEMUZ. ** EL CERDITO, EL PAN DORMIDO Y LAS HOGUERAS DE SAN ANTÓN. 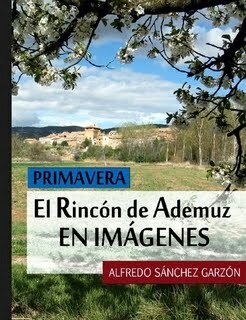 ** EL RINCÓN DE ADEMUZ VISTO POR EL BOTÁNICO CAVANILLES(I). ** EL RINCÓN DE ADEMUZ VISTO POR EL BOTÁNICO CAVANILLES (y II). ** EL SÍNODO DE CASTIELFABIB DE 1358. ** GENTE DEL RINCÓN DE ADEMUZ", UN NUEVO BLOG. ** ICONOGRAFÍA FUNERARIA EN EL CEMENTERIO DE CUESTA DEL RATO (CASTIELFABIB) [I]. ** ICONOGRAFÍA FUNERARIA EN EL CEMENTERIO DE CUESTA DEL RATO (CASTIELFABIB) [y II]. ** ICONOGRAFIAFUNERARIA EN EL CEMENTERIO DE MAS DEL OLMO (ADEMUZ) [I]. ** ICONOGRAFIA FUNERARIA EN EL CEMENTERIO DE MAS DEL OLMO (ADEMUZ) [y II]. ** ICONOGRAFÍA FUNERARIA EN EL CEMENTERIO DE PUEBLA DE SAN MIGUEL (I). ** ICONOGRAFÍA FUNERARIA EN EL CEMENTERIO DE PUEBLA DE SAN MIGUEL (y II). ** ICONOGRAFÍA FUNERARIA EN EL CEMENTERIO DE SESGA (ADEMUZ), [I]. ** ICONOGRAFIA FUNERARIA EN EL CEMENTERIO DE SESGA (ADEMUZ) [y II]. ** ICONOGRAFIA FUNERARIA EN EL CEMENTERIO DE TORREALTA (TORREBAJA) [I]. ** ICONOGRAFIA FUNERARIA EN EL CEMENTERIO DE TORREALTA (TORREBAJA) [y II]. ** JUAN HERRERO HERNÁNDEZ, LA PERSISTENCIA DE LA MEMORIA (I). ** JUAN HERRERO HERNÁNDEZ, LA PERSISTENCIA DE LA MEMORIA (y II). ** LA "LEY DE MEMORIA HISTÓRICA" EN EL RINCÓN DE ADEMUZ. ** LA CELEBRACIÓN DE PENTECOSTÉS EN EL RINCÓN DE ADEMUZ (I). 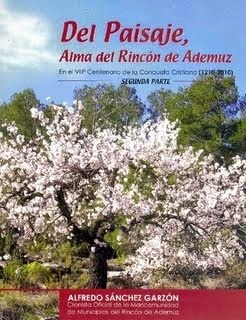 ** LA CELEBRACIÓN DE PENTECOSTÉS EN EL RINCÓN DE ADEMUZ (y II). ** LA CORACHA DE MOYA (CUENCA). ** LA CRIPTA DE “LOS ESPEJO” EN LA IGLESIA-FORTALEZA DE CASTIELFABIB (VALENCIA) [I]. ** LA CRIPTA DE “LOS ESPEJO” EN LA IGLESIA-FORTALEZA DE CASTIELFABIB (VALENCIA) [y II]. ** LA CULTURA DE LA MANZANA EN EL RINCÓN DE ADEMUZ. ** LA ERMITA DE MARÍA INMACULADA EN CUESTA DEL RATO (CASTIELFABIB). ** LA ERMITA DE SAN PEDRO EN EL CUERVO (TERUEL). ** LA ERMITA DE SAN SEBASTIÁN EN MAS DE JACINTO (CASTIELFABIB) [I]. ** LA ERMITA DE SAN SEBASTIÁN EN MAS DE JACINTO (CASTIELFABIB) [y II]. ** LA FESTIVIDAD DEL “CORPUS CHRISTI” EN EL RINCÓN DE ADEMUZ. ** LA TORRE-CAMPANARIO DE TORREBAJA (VALENCIA) [I]. ** LA TORRE-CAMPANARIO DE TORREBAJA (VALENCIA) [y II]. ** LA TRAVESÍA DEL SANTERÓN: EN EL XLII SEPTENARIO (2012). ** LA VIRGEN DE SANTERÓN EN LA MEMORIA (I). ** LA VIRGEN DE SANTERÓN EN LA MEMORIA (y II). ** LAS BARRACAS DE PIEDRA DE MAS DEL OLMO, PARADIGMA DE RIQUEZA PATRIMONIAL LOCAL. ** LAS RUINAS DE LA IGLESIA DE SAN GUILLERMO EN CASTIELFABIB (VALENCIA). ** LAS UVAS DE NOCHEVIEJA EN TORREBAJA (VALENCIA). ** LUCAS CARRIÓN-VÁZQUEZ, (a) LUCAS KARRVAZ (I). ** LUCASCARRIÓN-VÁZQUEZ, (a) LUCAS KARRVAZ (y II). ** POR ENCIMA DE LAS POSIBILIDADES, ¿DE QUIÉN? ** PUERTAS Y CALLES DE LA ANTIGUA VILLA DE MOYA (CUENCA) [I]. ** PUERTAS Y CALLES DE LA ANTIGUA VILLA DE MOYA (CUENCA) [y II]. ** RAMÓN MAÑAS AGUILAR, NATURAL DE LOS SANTOS (CASTIELFABIB) Y VECINO DE MALLORCA. ** RAMONA MIGUEL GARCÍA (1914-38), NATURAL Y VECINA DE LIBROS (TERUEL). ** RUFO ANTÓN HERNÁNDEZ, LA PERSISTENCIA DE LA MEMORIA (I). ** RUFO ANTÓN HERNÁNDEZ, LA PERSISTENCIA DE LA MEMORIA (y II). ** TIEMPO DE GACHAS EN EL RINCÓN DE ADEMUZ. ** “TIEMPO DE TRASHUMANCIA”, ÚLTIMO LIBRO DE MARIANO LÓPEZ MARÍN. ** ¿TIENE LA CELEBRACIÓN DE LA VIRGEN DE SANTERÓN SU PRECEDENTE EN LA CELTIBERIA? ** UNA CIERTA VISIÓN DE LA POSGUERRA EN LANDETE Y MOYA (CUENCA) [I]. ** UNA CIERTA VISIÓN DE LA POSGUERRA EN LANDETE Y MOYA (CUENCA) [y II]. ** VICENTE ASENSIO MONLEÓN (1876-1936), LABRADOR NATURAL Y VECINO DE CASTIELFABIB (VALENCIA). ** VILLANCICOS PARA LOS ANCIANOS DE LA RESIDENCIA DE ADEMUZ. ** VISITA GUIADA A LAS RUINAS DE MOYA (CUENCA) [I]. ** VISITA GUIADA A LAS RUINAS DE MOYA (CUENCA) [y II].